The RIDGID 915 Roll Groover is a manual roll groover for in-place field applications. 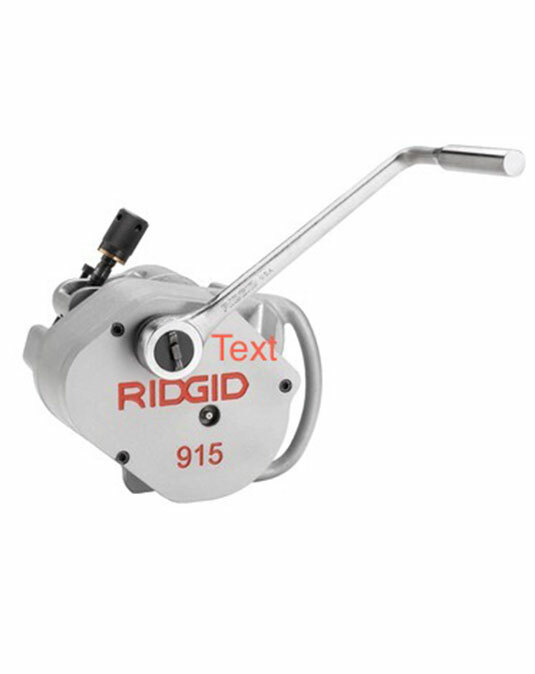 The 915 requires only 3 1/2″ of clearance to travel around a pipe and a minimum of 2 3/4″ of exposed pipe for grooving. With the appropriate roll sets, the 915 can groove from 1 1/4″ to 12″ pipe, the widest range in its class! The 915Õs cast-in handle allows for easy transport or chaining the groover down to prevent theft. The 915 is a must for service work crews.